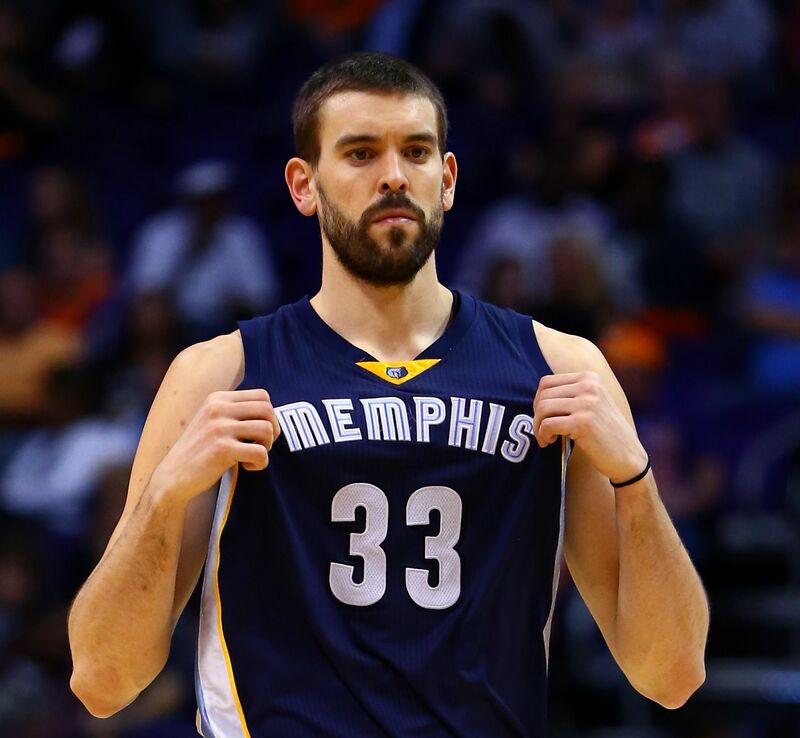 The core of Marc Gasol, Zach Randolph and Mike Conley in Memphis has delivered considerable success these past five seasons even if they haven’t been unable to return a championship to a franchise that has yet to see one. Only the San Antonio Spurs and Los Angeles Clippers have been able to rival the regular season win totals posted by Memphis over the last four years. Oklahoma City would be atop the list had it not been for several injuries this season. But a winning percentage of at least .610 for four straight seasons in a brutal Western Conference should be good enough to withstand any major change, right? In today’s age, a team built such as Memphis doesn’t seem to be strong enough to make a run to the NBA Finals. A game that will see the final five teams remaining all rank in the top-five in three-point field goals made during the regular season. Memphis? They finished 29th in the league. Ahead of only Minnesota. Previous two years? Dead last. So while it’s clear that their style can be effective, it is also clear that some adjustments need to be made to the roster. Obviously the biggest piece is unrestricted free agent Marc Gasol. He’s the team’s best player. The league’s best big man. More skilled on both ends than any center in the entire league. The only priority for the Grizzlies if they want to continue their success and keep this core together. And they should. They just need to add a couple of shooters. If I’m Memphis, I pray that Jeff Green declines his player option and seeks a multi-year contract in free agency. He was dreadful in the postseason and clearly not the player the Grizzlies expected to get when they traded for him. His offense was non-existent and his defense was awful. If they are lucky enough to have Green opt-out, the Grizzlies would have a salary cap of about $40 million. And if the cap is $67 million like most predict then they’d have slightly above $25 million available after the NBA draft. Rondae Hollis-Jefferson could be a nice pick late in the first round to provide some nice depth on the wing. Should Gasol accept a max contract and return to Memphis, his first year would cost about $20 million, leaving only five million left in cap space. So now the question is, how is Memphis going to be better if all they’ve done is replace Jeff Green with a rookie wing taken late in the first round? Well, this is where they may need to shake things up. One move could be trying to trade Courtney Lee’s $5.6 million without taking anything back except maybe a future draft pick. That would give Memphis about ten million to go after another nice player like a DeMarre Carroll who I think would be a great fit in Memphis. Defensive stud and someone who can knock down threes regularly. Monta Ellis could provide a much needed scoring boost for this team although I don’t necessarily see him taking another fairly significant discount like he did with his last contract in Dallas. Memphis could keep Lee since and try to sign a Danny Green or Wesley Matthews for roughly $5 million in an effort to have multiple shooters on the floor at any given time throughout the game. Both Green and Matthews fit their pedigree of excellent defensive players while adding a much needed three-point threat. Green is much more likely to be had for that cheap rather than Matthews even though he’s coming off a torn Achilles. Or another way they could go is trade Zach Randolph. I understand that may sound insane. Z-Bo has been great in Memphis. He’s the perfect player for the “Grind house,” he even opted to exercise a considerably cheaper two-year option just to stay in Memphis and keep this core together. Dealing him may just be flat wrong. I get it. But the Grizzlies could really benefit from having a more athletic stretch-four. Open up the spacing on the floor. Have potentially two or three players that can park on the wing and knock down threes at any given time during the course of the game because let’s face it, like coach Dave Joerger said during one of his press conference in the series against Golden State, they need to score 100 points to win some of these games. The Grizzlies are like the San Francisco 49ers when Alex Smith was under center. Great on defense, can win a lot of 17-13 games, but if you ever fall behind by double digits the game is virtually a wrap. And in today’s NBA, you just simply cannot win games scoring 90 points. They need to make every effort to surround this team with at least some three-and-D guys and if it means possibly having to deal Randolph in the process I think it’s something they’d have to seriously consider because it’s much more important building this team around Gasol and Conley then it is forcing yourself to hang onto Z-Bo and keeping the same roster. Of course if Gasol leaves and signs elsewhere that puts the team in a much different situation. But I would still proceed with the same mentality in a sense of trading Randolph, this time almost as a favor to him and put him on a contender rather than letting him rot on a bad team his last few years in the league as a productive player. Keep Conley and build the team all over again the right way. Continue to acquire defensive standouts but make sure they can shoot because as we see in today’s game, knocking down the three is an important component to longterm success. And maybe bid farewell to one of the last successful teams that remind me of 90’s basketball. The days of winning with a style like that seem all but over.